This adorable Monogram Bunny Decor is on sale for $12.99. 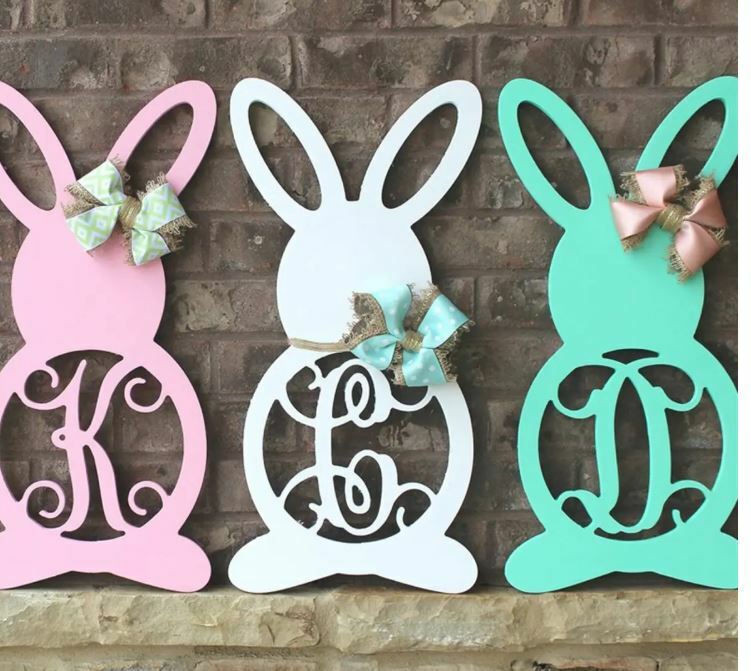 Personalize your Easter decor with our Unfinished Bunny Monograms! These pieces can be brought out year after year to add the perfect decor piece in your home or on your front door. They can be painted, stained, embellished or decoupaged to get the perfect finish for your home. Pick the letter you want and have fun crafting away. Shipping is $7.25 for the first item and $3.75 for each additional item.